Day 10: 2 buses later we are finally in Split! 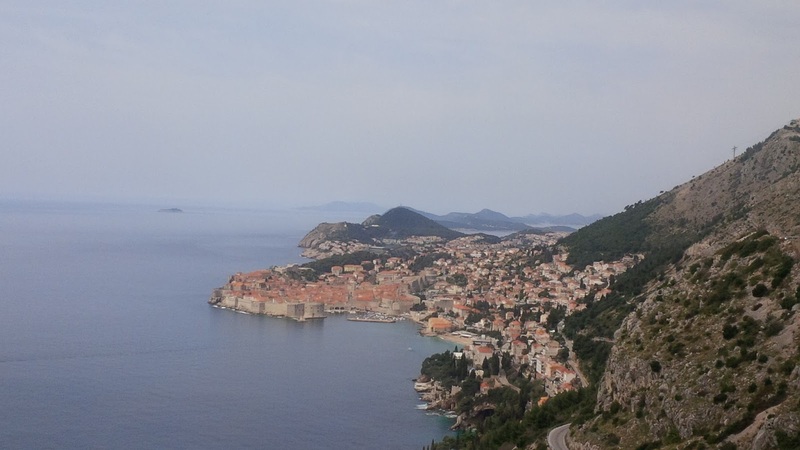 We started our journey from Herceg Novi really early in the morning and stopped over in Dubrovnik to have lunch and switch buses. The bus ride itself took altogether about 7.5 hours, but was broken up in the middle a few times (once in Dubrovnik and once in Bosnia for a washroom break). 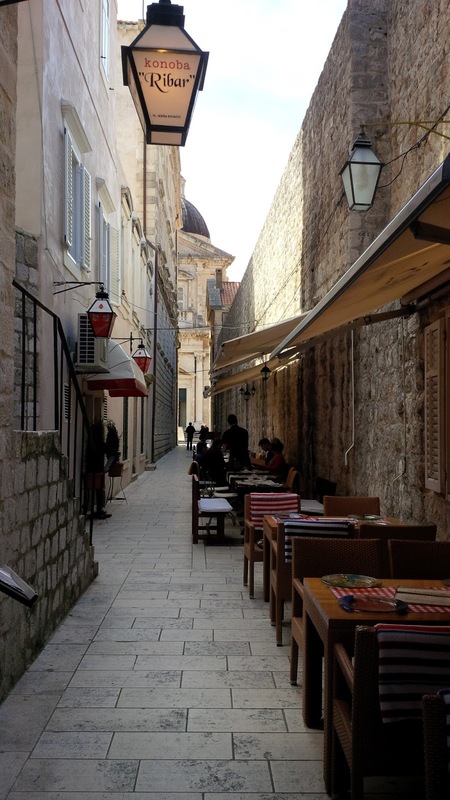 We had more time to spend in Dubrovnik, which we gladly took and found a place to quickly eat pizza and stock up on other food/refreshments for the rest of the journey. View of Dubrovnik from above, taken on the bus so this is the best that I could do! We got into Split in the evening and were received by Tia's cousin. 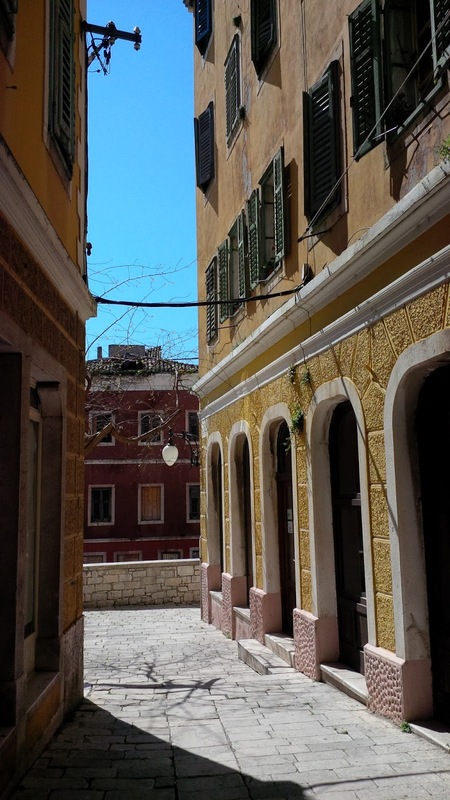 We took the local bus to her apartment complex which was an under 10 minute bus ride or a 20 minute walk--so it was close to the central part of Split. Tia's Aunt made us delicious homemade food for our whole time in Split (they were just the loveliest people I have ever met!) and we went for drinks afterwards. After concluding we were too tired from the journey to do anything else, we decided to watch Zoolander and go to sleep so we would have energy for the next day in which we would do most of our Split sight-seeing! This day that we spent in Split will sound ridiculous to anyone who reads the following, but in all honesty we thought we were only going to be in Split for this one full day, which didn't end up being the case. 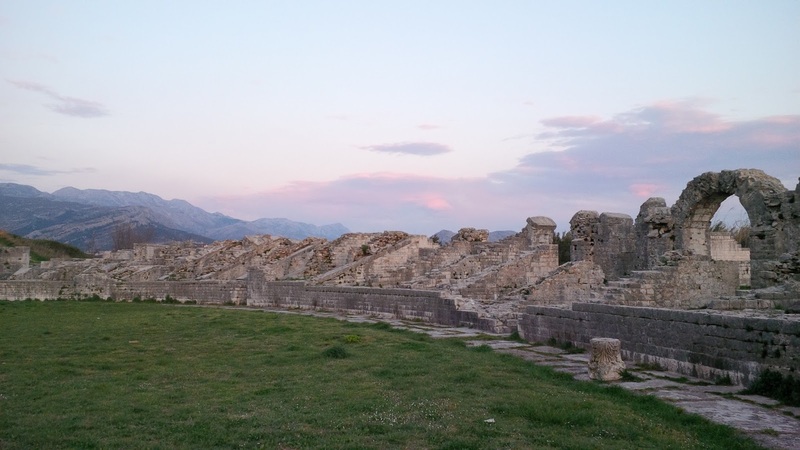 Split is a peninsula on the Adriatic Sea and its earliest date is associated with the construction of Diocletian's palace (~305 CE), although there is evidence for earlier settlement in the area. 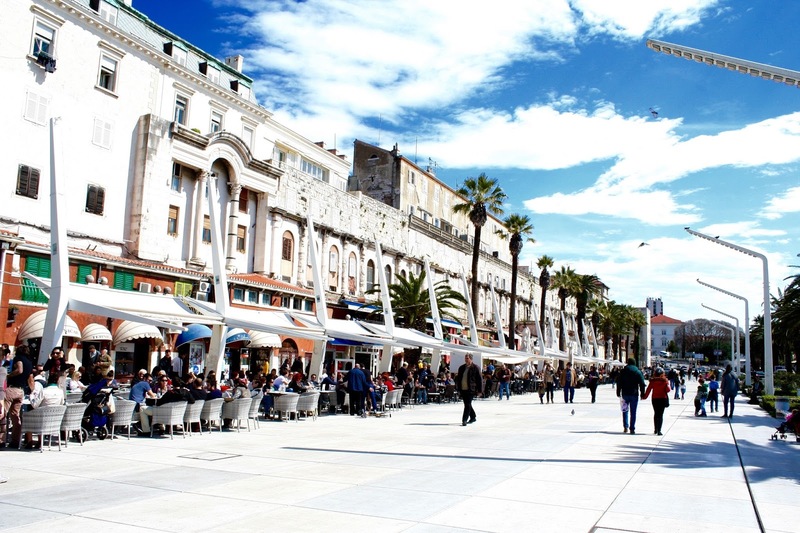 We started the day early by walking into central Split. It was a really warm day BUT it was REALLY windy. And I mean 70 km/hr windy! 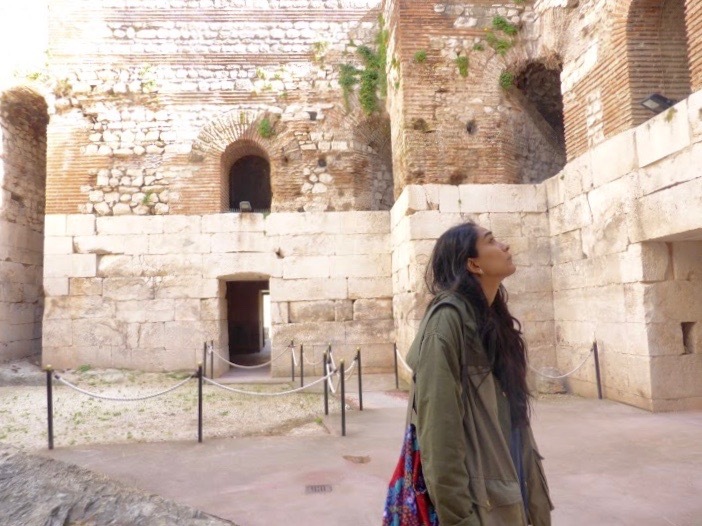 We strolled the Riva waterfront first and then continued walking in and around Diocletian's palace and managed to see most of the gates. The Riva waterfront is bustling with locals and tourists. 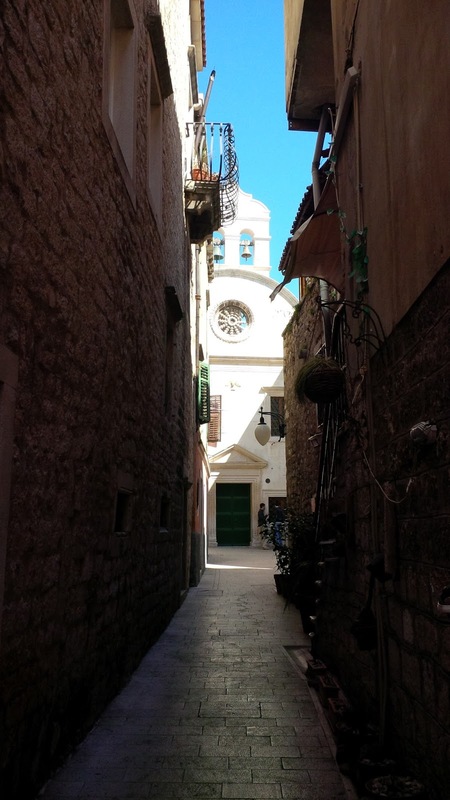 It is neatly packed with restaurants and shops on the exterior walls of Diocletian's palace on one side and the Adriatic on the other with a row of Palm trees dividing the wide promenade. 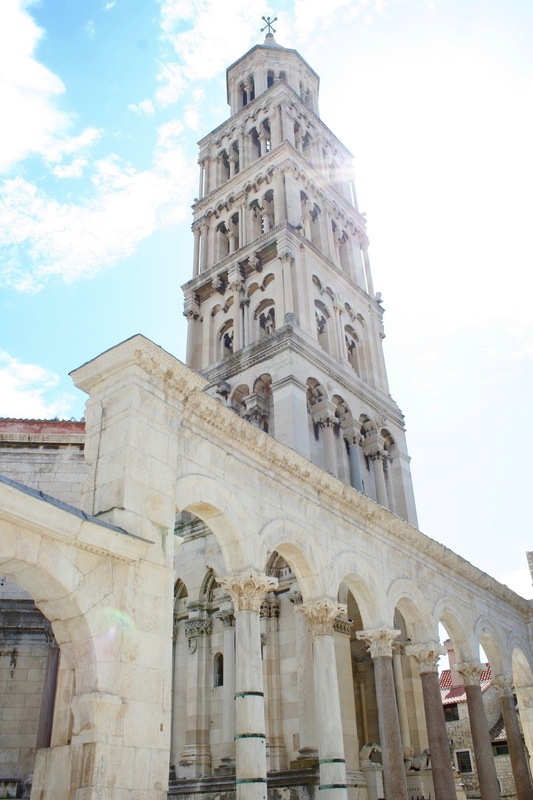 We ventured inside what was Diocletian's palace and into the winding shops, squares and restaurants. 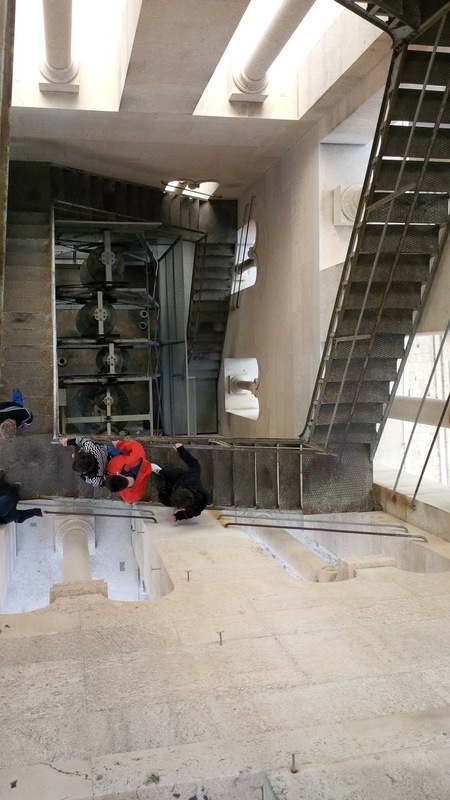 This led us to the Cathedral of St. Domnius, which we opted to climb for a fee. The stairs are also (surprise!) winding and difficult but not even that difficult even at a low fitness level like me! Its worth it for the view of Split. Its by far one of the best views I have ever seen in my life. Yes it was windy and yes it took me a while to catch my breath but I would do it again! 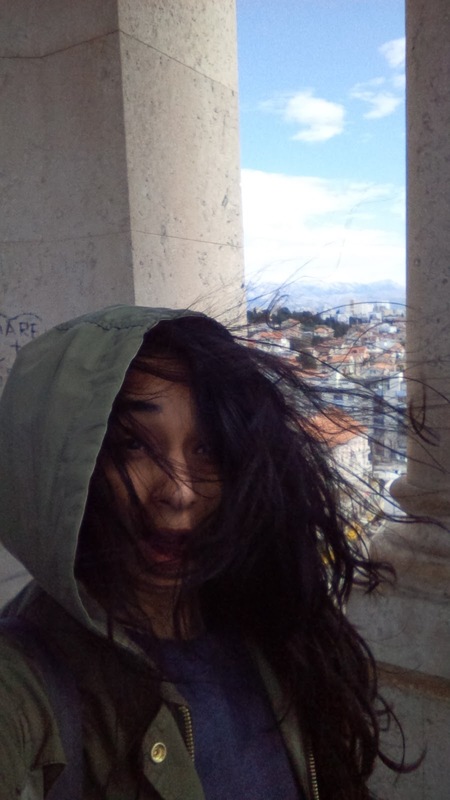 It was so windy that yes, I took time to take a wind-flustered selfie! 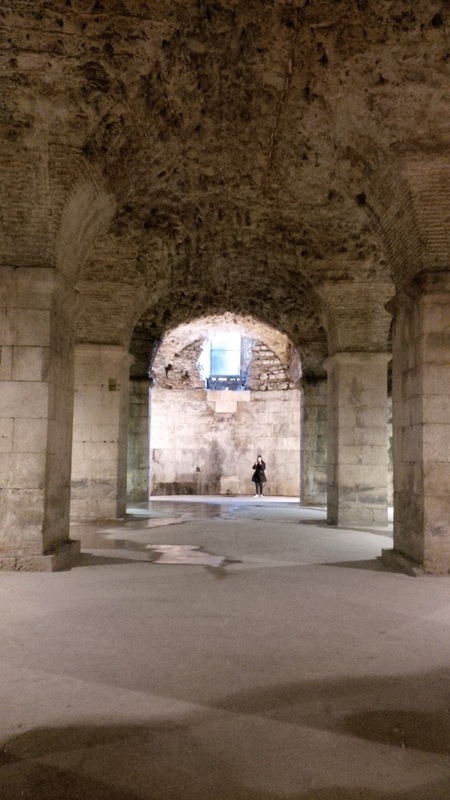 We then visited the Temple of Jupiter and went into the basement of Diocletian's palace. Since Tia and I both are Classical Archaeologists we were beyond excited with what we got to see in the basements even though other people have described it as empty rooms (they are so not!). At this point we went back home for lunch as Tia's aunt so kindly had prepared it for us (seriously the kindness level was unreal). 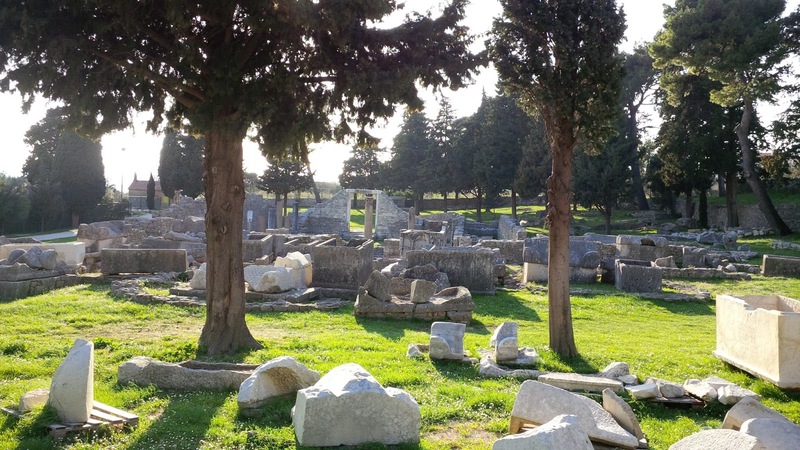 And after we rested for a bit Tia's cousin told us that her friend was willing to drive us up to the Roman site of Salona. 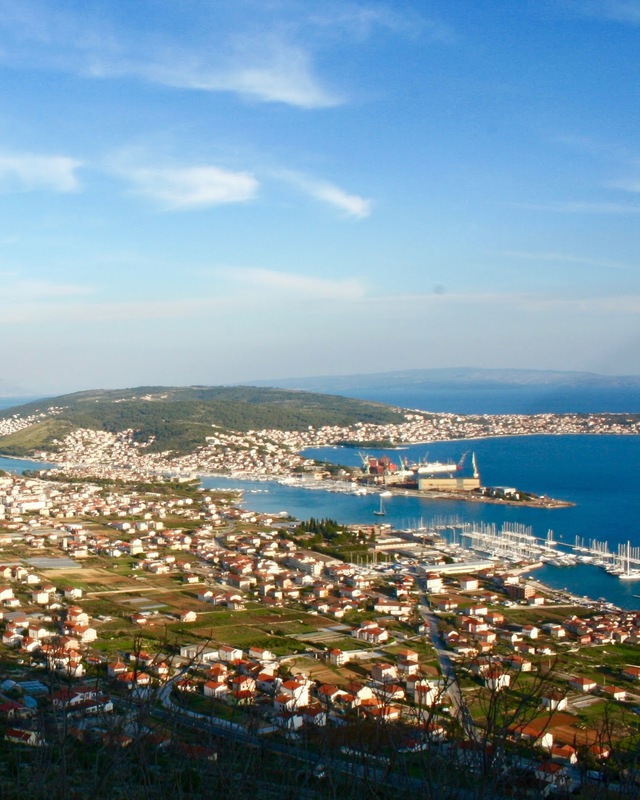 It is 5km outside of Split and overlooks the city. 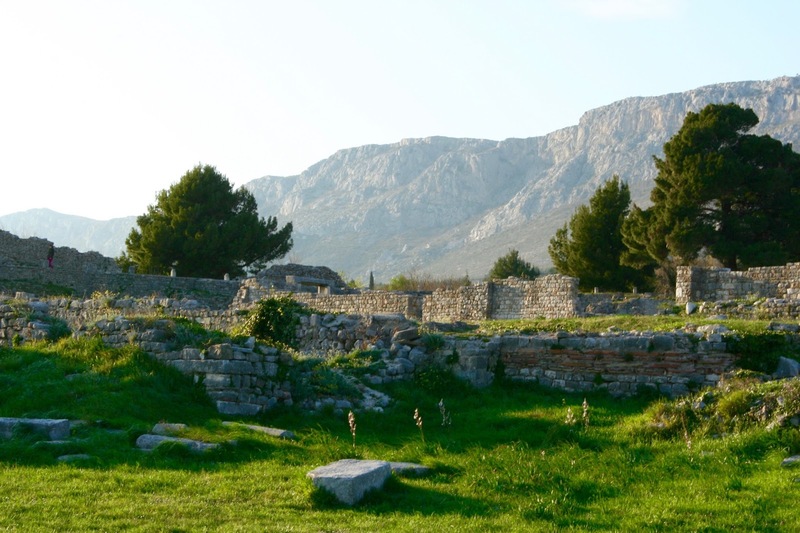 It was once the Roman capital of the province of Dalmatae. It is a phenomenal site and if you are in the area, with a car and into your Roman stuff this is a must visit! It was a very scenic site and there weren't any guards on site or a fee to get in. There were a lot of locals out for their evening stroll with their children or walking their dogs. We waited at the site for about 20 minutes for Tia's cousin's friend to come and pick us up. It didnt feel too long since we waited with two grandmothers who had come with their grandchildren. One of the grandmother was very active and even told us about the amphitheatre nearby, drawing a map to it in the dirt. She then also named me Svjetlana because of a miscommunication that led to her believing that it was the nearest translation of my name. But it didn't matter, the name stuck and all of Tia's family jokingly called me that for the remainder of the trip. So we embarked on an adventure to find the amphitheatre off of the grandmother's map. After many dead ends we finally found it and felt very accomplished. 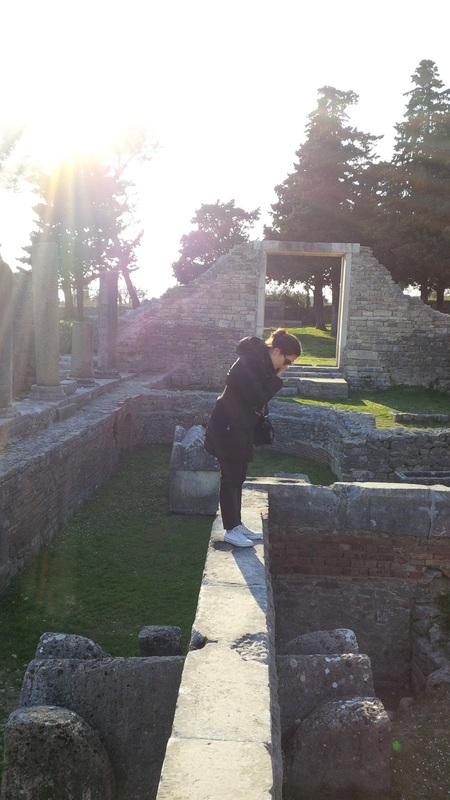 By the time we reached the amphitheatre the sun was setting...and guess who we bumped into there? The same grandmother who told us how to get there! We went back home exhausted. Tia's aunt informed us that her brother wanted to take us to visit Šibenik and that Tia's grandmother was also going to make the trip to Split to meet us. This meant that we willfully extended our stay as we were already enjoying ourselves so much that we honestly didn't feel like leaving just yet. 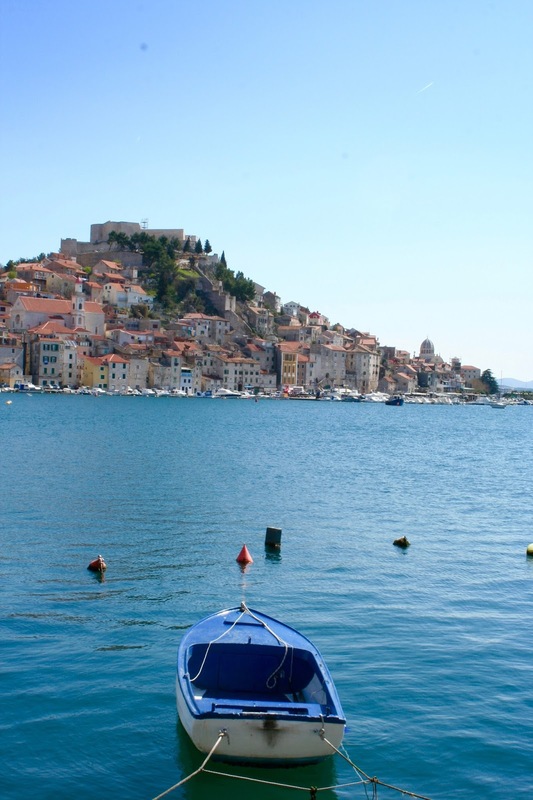 We were picked up by Tia's uncle after breakfast and drove about 1-1.5 hours to reach Šibenik. We stopped over at Tia's uncle's house where we met Tia's aunt, cousin and her cousin's wife. After enjoying some tea and light snacks we were then taken into Šibenik itself by Tia's cousin and his wife. 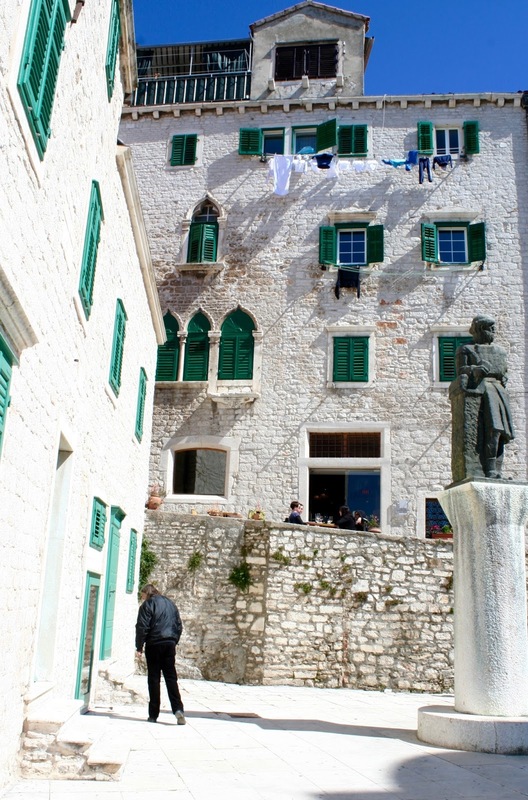 Šibenik is located where the Krka River flows into the Adriatic and it is also the oldest native Croatian settlement along the coast, so it was unique in many respects. 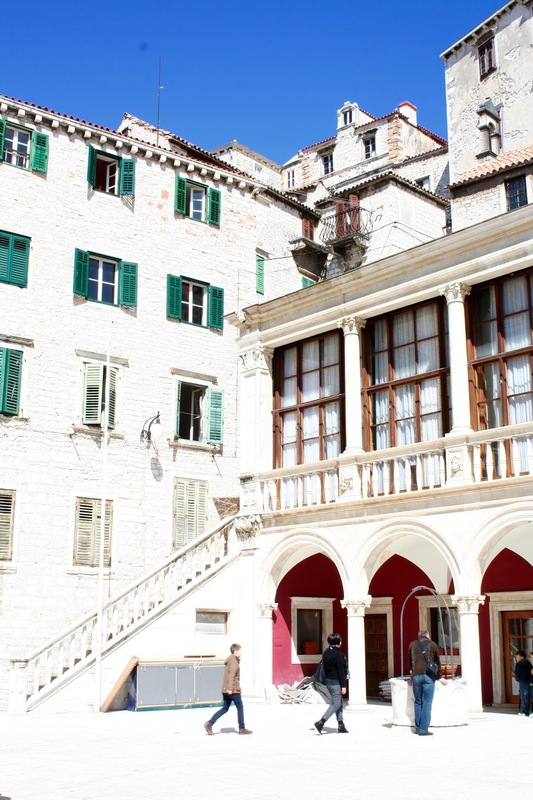 It is also the set for King's Landing from Game of Thrones along with Dubrovnik, something that came up quite a lot as Tia's cousin, cousin's wife and uncle were extras in the last season. 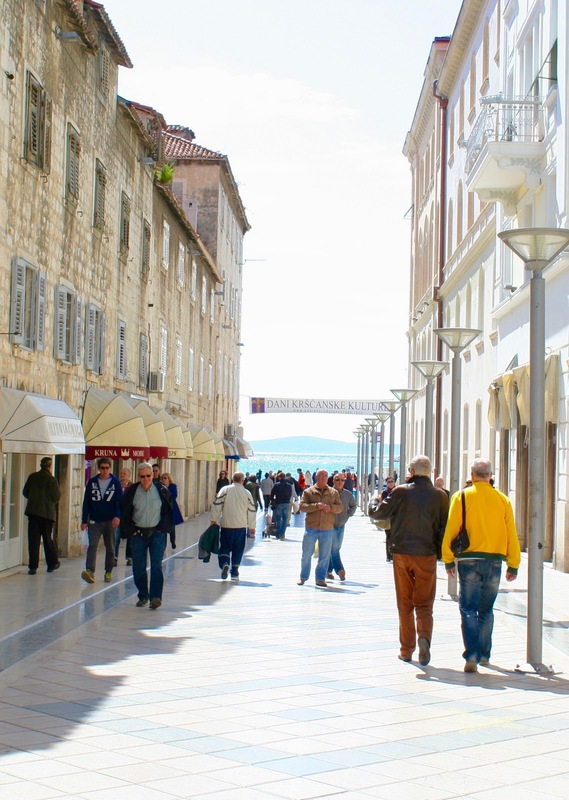 We walked around the city itself and let me tell you it was the warmest day out of all the days we had been in Montenegro or Croatia ( 20 + degrees celsius). We saw the Cathedral of St. James and all of its Gothic and Renaissance glory and then we walked along the marina and port. We then went to a Cafe called Banj on the Marina where we had coffee/tea/refreshments. We sat outside and just from sitting outside for that hour I got a tan--it was that warm! We then decided we were hungry and ate pizza along the marina before being driven back to Split. The drive back to Split was scenic as usual and we even stopped to take pictures at this high point. The geography and urban planning of this area never ceased to amaze me no matter how long I spent in this area. The islands, the mountains, the water, the foliage, the buildings, the history, the modernity all collided into this wonderful and breathtaking landscape and experience. We returned home to yet another warm home-cooked meal by Tia's aunt and watched another movie. We were again convinced to leave the day after tomorrow, so we spent Day 13 with family and relaxing at home. We took this day easy and spent time with Tia's aunt and grandmother. We visited Tia's uncle's grave and had coffee with a few of Tia's cousin's friends. We then stayed in, ate, talked, watched another film, sadly packed and went to sleep. 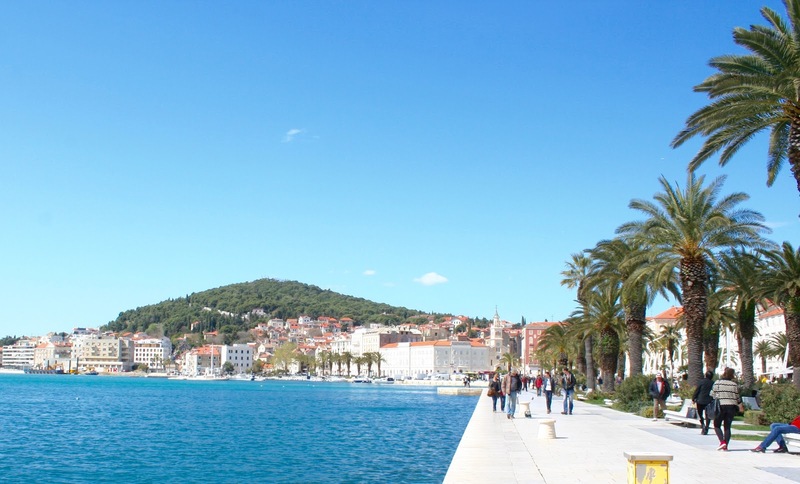 FACT: If we didnt have a flight the next day, we probably would have stayed in Split longer. So as you can see, we really tried to extend our time in Split to the last day as possible. Tia's aunt made us lunch and snack for the way that we then consumed on a bench in the old port of Dubrovnik. 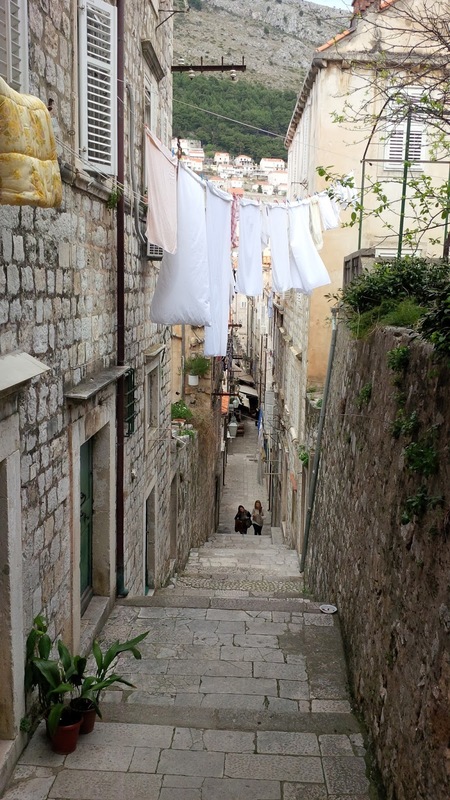 We then ventured around Dubrovnik one last time and could tell that things were beginning to change with the tourist season approaching. We had ice cream and headed to our bus back to Herceg Novi. Upon our return to Herceg Novi, Tia's cousin from Serbia packed his things as he would be returning home with the 9pm bus, we took Tia's family in Herceg Novi out for dinner one last time and then Tia and I packed and called the amazing taxi-driver we had met upon our arrival to drive us back. We were beginning to realize that our amazing trip was ending and it especially felt real once Tia's cousin left us at 9. We woke up and had our early breakfast at Gradska Kafana. The taxi driver was on time and we drove through intense thick fog which scared Tia for her life (but she has never been to Punjab in the winter...that is the scariest fog in life). We were on time for our flight and upon arriving in England had an excruciating 4.5 hour bus ride back to Oxford. 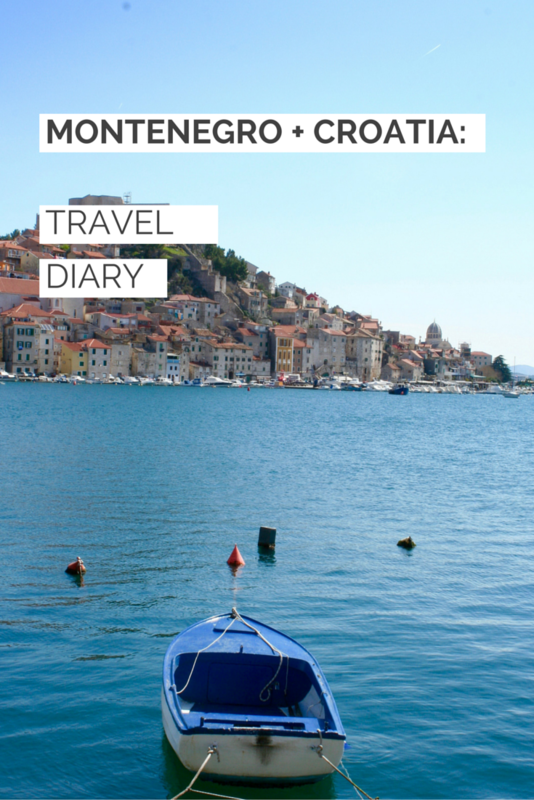 I hope you have enjoyed my travel diary for Montenegro and Croatia and will put it on your travel list. I have left out a lot due to bad memory or because there is far too much to include from a 2 week trip that I just couldn't fit in. Is it bad that all I can say is WOW?!?! This trip looks absolutely amazing – I'm jealous! I love all the photos. So glad I discovered your blog! What an amazing trip! 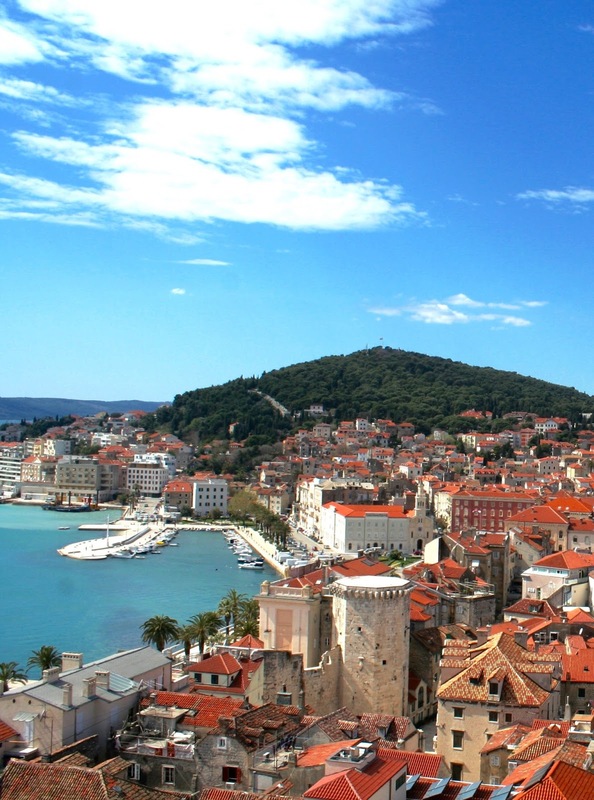 I really want to go back to Croatia, I was only there for a weekend when I studied abroad, but it was so gorgeous! Wow! How beautiful!!! I really need to travel more!!! wow amazing photos! looks like you had an incredible trip!